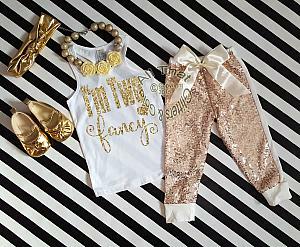 Let us add a little or a lot of shine to your little sweetie's life with our NEW! 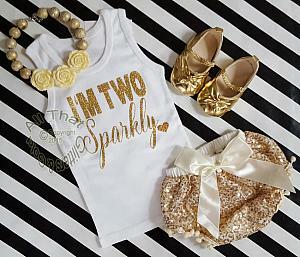 trendy ivory and gold I'm Two Fancy birthday outfit for two year old birthday celebratinos. 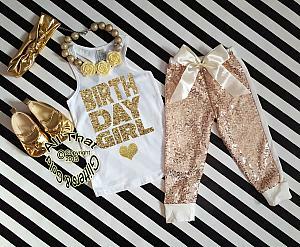 This outfit is so cute and perfect for your little angel's birthday celebration, photo shots or every day wear. 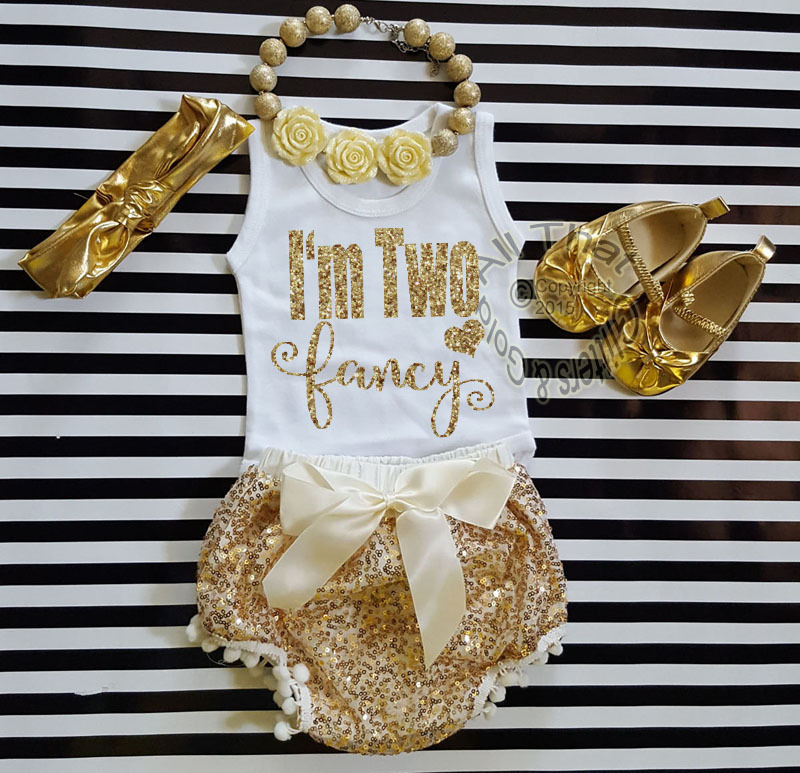 The top is Made with a glitter gold that wont come off and paired with ivory sequin gold bloomers with pom poms and an ivory satin bow. 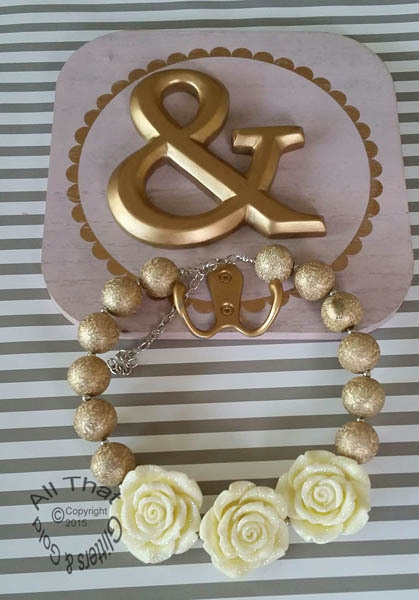 You can either wear the bow in the front or the back.